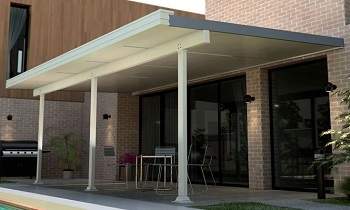 Pergolas, patios, verandahs and covered outdoor areas are a popular and inexpensive way to maximise your outdoor space. With a well-designed covered outdoor area you can enjoy the outdoors or entertain friends and family whatever the weather. An attractive covered area can also add significant value to your home but it’s important that you chose your roofing carefully. All too often poor choices result in roofing that doesn’t last the distance, leaks or is unstable in high winds, or looks unattractive because it doesn’t match existing roofing and has weathered quickly. Whatever your requirements No1 Roofing can provide inspired solutions for your favourite outdoor areas. Let’s look at some of the exciting possibilities. Steel roofing is one of the most popular choices for Australian roofing projects. And it’s hardly surprising given many decades of trouble free, minimal maintenance protection it has provided for generations of Australian home owners. The traditional steel roof has also inspired a range of similar profile roofing options made from alternative materials. But technological advances and design improvements have made the classic steel roof even better and when you’re looking for the ideal roof for your patio, veranda, or pergola No1 Roofing has the perfect solution. Provide some shelter from the weather for an outdoor area with simple, easy to install panels? 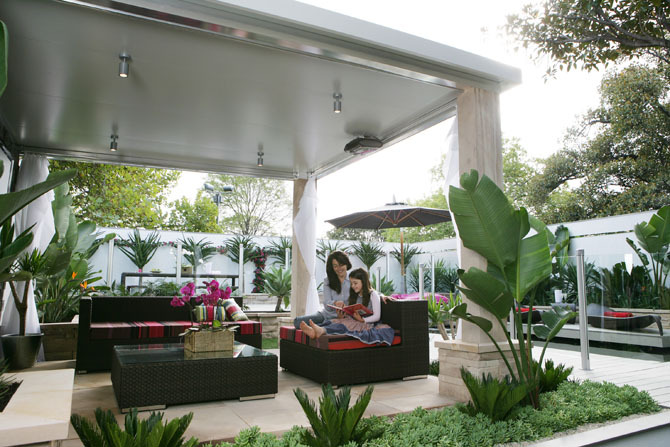 Keep your outdoor area cooler in summer or hotter in winter with insulated roofing options? Let more light in with translucent panels?Achieve all of the above with a visually stunning solution that blends perfectly with your existing roofing? Lysaght flatdeck panels and the firmlok steel structural components are offer the perfect complete package for creating patios, carports, and covered walkways. Flatdek has an upper profile somewhat similar to standing seam but the underneath features a smooth ceiling-like gloss finish. Manufactured from COLORBOND® steel its rugged strength is perfectly complemented by the extensive matching range of Firmlok structural beams, purlins and rafters, brackets and receiver channels. Straightforward, fast installation saves you money and time. Lysaght is a highly regarded Australian company that began importing and later manufacturing high quality steel and galvanized steel products in 1857. All Lysaght products are now proudly manufactured in Australia from Australian steel. Flatdek and Firmlok form part of the Lysaght Living Collection and the name says it all. Choose Lysaght and you can get on with enjoying the outdoor life confident in the knowledge that they won’t let you down. 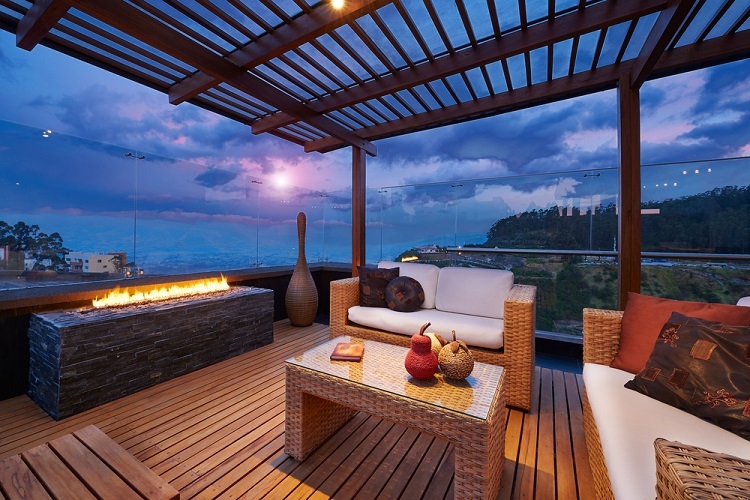 Stramit Sunset® Patio Panels feature attractive ribs and interlocking panels for outstanding weather tightness making them the perfect choice for any outdoor application. 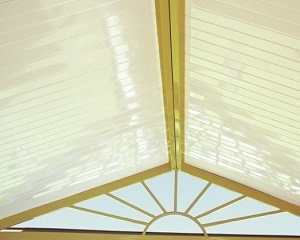 Matching translucent panels are the ideal complement for letting light into your patio, carport or covered walkway. 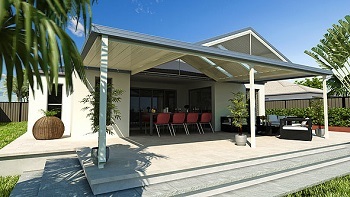 Stramit Sunset® Patio Panels are manufactured from high-tensile G550 BlueScope COLORBOND® steel. Stramit is another Australian company with a superb reputation committed to maintaining its standards of excellence. These all-in-one insulated panel/roof panels have revolutionised the building industry’s approach to roofing and cladding. Versiclad comes in a wide range of profiles including corrugated, various core thicknesses providing insulation values up to R 5.0, and different ceiling finishes. SolarSpan by Bondor is one of the premium quality three in one roofing/insulation/ceiling panels available in Australia. 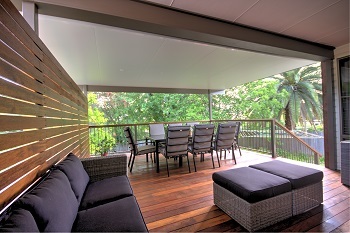 Bluescope Colorbond® Steel are used for both roof and ceiling—your guarantee of many years of maintenance-free outdoor living. Forget plastering and painting the ceiling; a smooth ceiling finish and the great range of Colorbond® colours will provide the perfect match for any decor. SolarSpan is twice as fast to install as conventional roofing saving you time, money, and inconvenience. Insulspan by Quickbuilt offers an innovative three in one roofing, insulation, and ceiling solution with an excellent span to weight ratio making it a perfect solution for all your outdoor roofing needs. Insulspan can span up to 8.1 m unsupported reducing the need for unsightly beams and lowering the cost of your project too. A range of steel profiles, colours, and ceiling finishes including curved panels will inspire you to be creative when designing your outdoor spaces. Untidy joints are a thing of the past with Insulspan’s unique ‘seam lock’ system and electrical ducts provide for effortless, safe cable installation. Visit No1 Roofing and Building Supplies and let us help you make the most of your outdoor space with superior patio, verandah, and carport designs and roofing solutions. 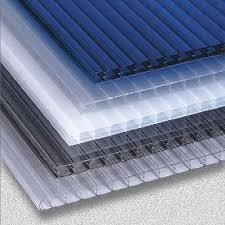 Polycarbonate roofing are roofing panels made from a translucent plastic that comes in a variety of colours, widths, lengths and thicknesses. The roofing panels are most commonly used on outdoor living areas and pergolas, but are also widely used in greenhouses, shopping centres, sporting complexes and covered walkways. More flexibility due to moulding capabilities which makes it quite suitable material for a curved roof.Cost lower than glass. A light weight material makes installation a lot less expensive than glass as the roof frame can be a lighter framework. More light compared with other outdoor roofing materials, up to 85% of all available light is transmitted with a polycarbonate roof. Less fading as it has a much higher softening temperature so the colours won’t fade in the hot or cold weather conditions. Want more information on Polycarbonate Roofing? Click Here! 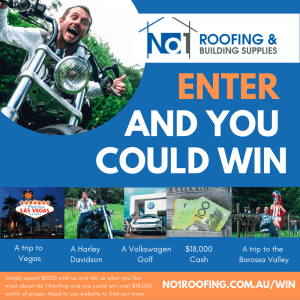 No 1 Roofing & Building Supplies are a leading supplier of Lysaght, SolarSpan, Versiclad, Stramit, and Insulpan products and are able to supply in a range of the most pergola roofing profiles to all our Sydney customers.